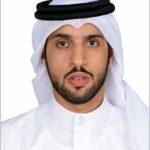 Mohamed is a Market Analyst at the Bahrain Petroleum Company (Bapco), monitoring and advising the business about short, medium and long-term trends in energy markets, with specific focus on crude and refined products. Mohamed is a Market Analyst at the Bahrain Petroleum Company (Bapco), monitoring and advising the business about short, medium and long-term trends in energy markets, with specific focus on crude and refined products. He also contributes to and leads strategic projects. Mohamed holds a bachelor’s degree in Business Management and a Master’s degree in Management and International Business from the United Kingdom’s Nottingham Business School. 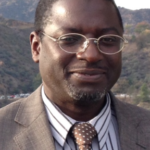 Dr. Nasiru Mohammed Tukur is an Engineering Consultant with Saudi Aramco’s Process & Control Systems Department. Dr. N. M. Tukur holds a Ph.D degree in Chemical Engineering from University of Manchester, UK and an MS degree in the same specialty from the King Fahd University of Petroleum & Minerals (KFUPM), Dhahran, Saudi Arabia. He has over 28 years of experience in refining, petrochemical as well as academia. Previously taught Chemical Engineering at KFUPM and also worked with SABIC Engineering & Project Management as a Senior Process Engineer in Jubail before joining Saudi Aramco in 2010. 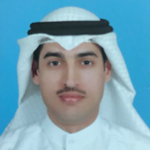 Bader al Mutairi is Analyst, Sr. Market Research at Kuwait national petroleum company (KNPC). In which he Provides a comprehensive oil market outlook and analysis to enhance knowledge of energy and oil market dynamics to support the development of medium/long term plans and with ultimate goals of finding areas where KNPC and downstream sector can improve its performance. Mr. Bader has 20 years’ process engineering experience in design/operations support related to oil & gas production and processing units in Shuaiba refinery. He earned Bachelor of Science Degree in Chemical Engineering from Kuwait university in 1994. Swaminathan is currently working as Manager – Strategic Studies & Business Development Manager in ADNOC Refining Managing Strategic Studies for Long term development. Swaminathan has over 35 years of experience in Oil refining sector on Managing Feasibility studies in ADNOC refining for more than 15 years, prior KNPC, KBC & Indian Oil Corporation in various functions. 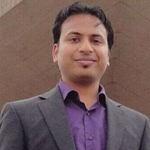 Swaminathan hold a Bachelor of Technology in Chemical Engineering from Annamalai University in India. Anshuman has more than 12 years of experience in the oil and gas sector, including downstream refining and petrochemicals. 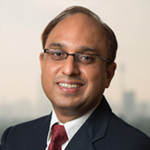 His downstream industry research and consulting practice is centered on the Asia Pacific and Middle East region. on the Asia Pacific and Middle East region. proposals and designing downstream refinery units for multinational clients. Samuele joined The Boston Consulting Group in 2010. He currently works as a Principal in the Dubai office, where he covers all regional markets in the Middle East. He is a core member of the BCG Energy Practice with particular focus on Downstream Oil & Gas activities. Samuele joined The Boston Consulting Group in 2010. He currently works as a Principal in the Dubai office, where he covers all regional markets in the Middle East. He is a core member of the BCG Energy Practice with particular focus on Downstream Oil & Gas activities. Samuele accumulated over the years significant experience serving refining and petrochemical corporations across different geographies, including Europe, Russia, and the Middle East. He has worked on a wide range of topics, spanning from operational excellence to strategy and business development. 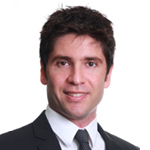 Samuele holds an MBA from INSEAD. He also received Master Degrees in Physics Engineering from the Politecnico di Milano and in Industrial Engineering from the École Centrale Paris as a part of a Dual Degree program. Gurminder Singh is the Director, Technology Licensing- Middle East & North Africa (MENA) for Shell Global Solutions based in Dubai. At Shell Global Solutions, he is responsible for Shell’s Refining and Chemicals technology licensing in the MENA region including Shell’s proprietary Reactor Internals. Yousef Ali is a Team Leader in Value Chain Optimization department responsible for enhancing optimization of KPC’s overall value chain operations in order to maximize the value of Kuwaiti’s hydrocarbons resources. 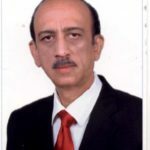 He acts as an “Active Facilitator” to catalyze the identification and implementation of VCO opportunities in coordination with subsidiaries by engaging with different stakeholders to evaluate benefits / ease of implementation and obtain buy-in of the identified VCO opportunities such as enhancing the integration among Subsidiaries. Yousef Ali has worked for different departments since he joined KPC in 2002 and holds a Bachelor degree in Mechanical Engineering from University of Hartford, USA.